Over the Labor Day Weekend we went to the Greek Festival in Belmont. 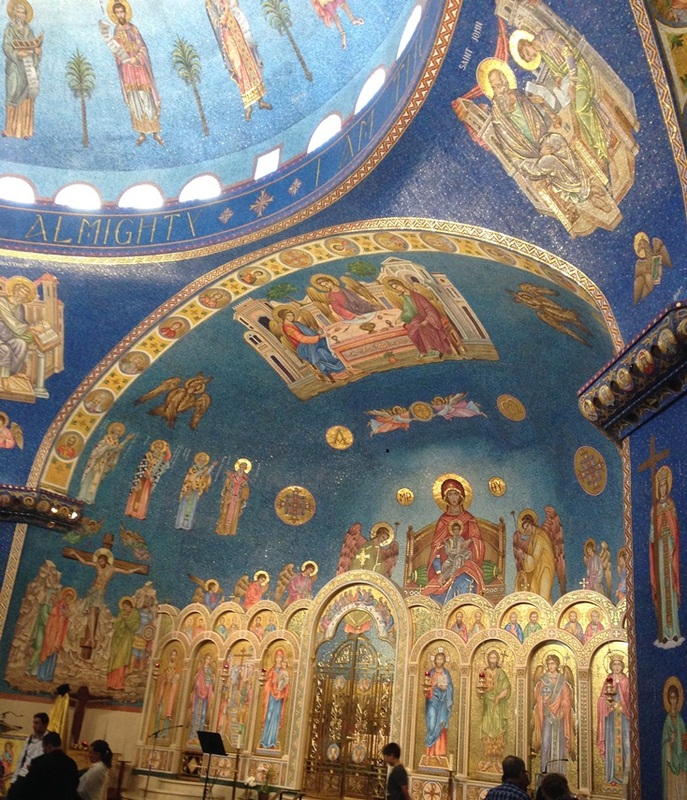 The festival is held at The Greek Orthodox Church of the Holy Cross. I wrote post about some soap that we get at the festival. We get the soap every year. We’ve only been going the past three or four years. This was the first year we went into the church. I think it was the first year that they were doing tours in the church, but I am not sure. 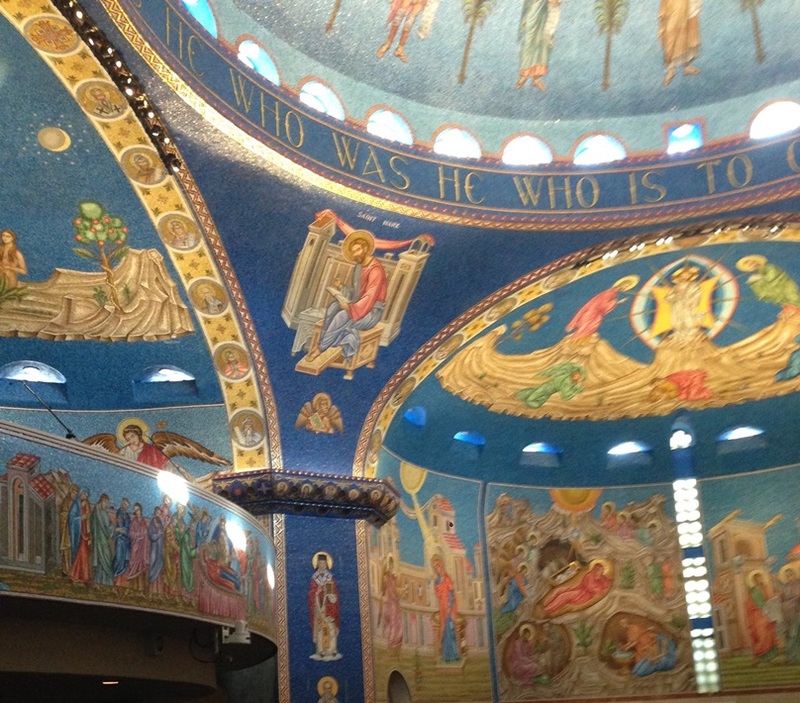 I was so amazed at the inside of the church. If I am reading the website correctly, the “church” basically started in 1955 with twelve people. The church buildings were not built until 1964. 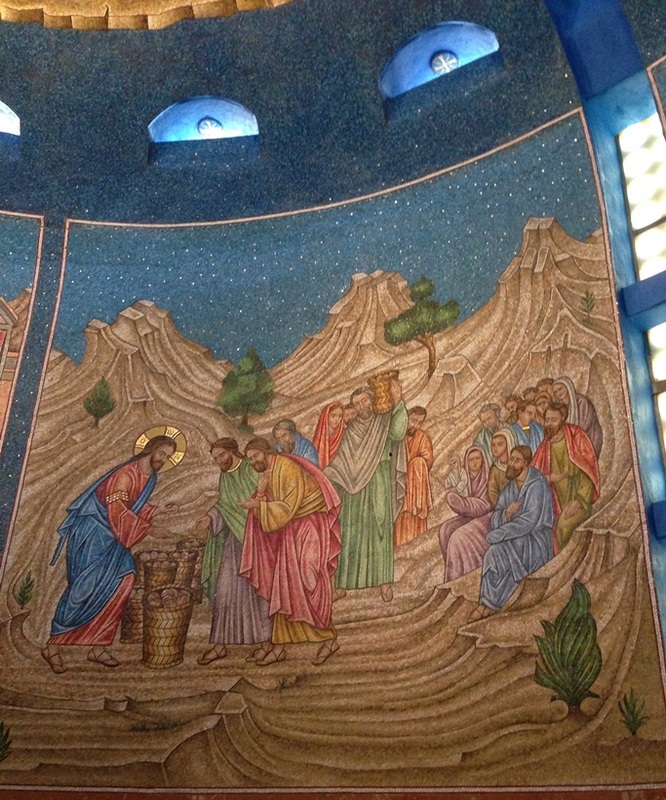 My cousin who attends the church was reminiscing about how the church didn’t always have all of the mosaics pictured. 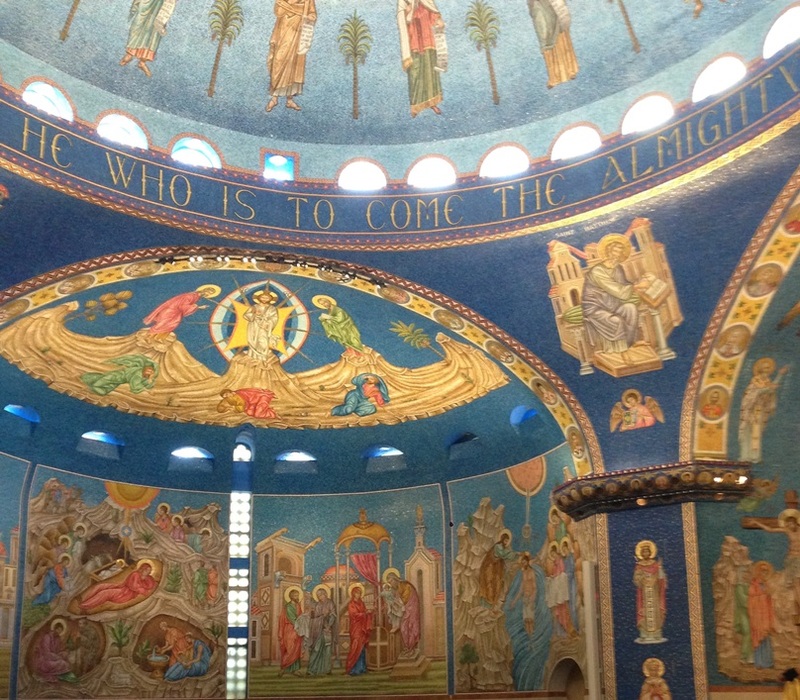 The website says that the dome and the pendentive arches had the mosaics installed in 2004. I noticed a year on one of the walls. It was 2014. 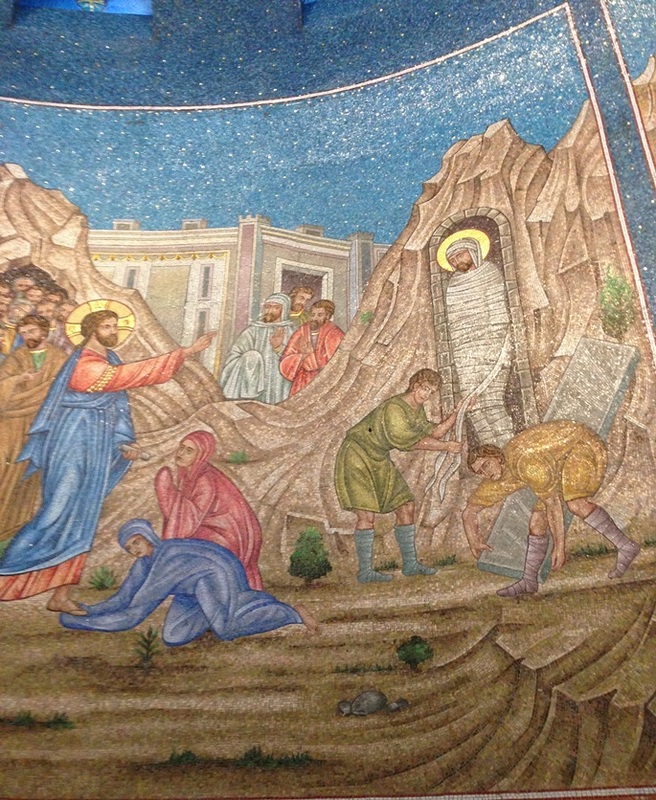 So it seems that the mosaics were installed over time. Sirio Tonelli is the artist behind the art. 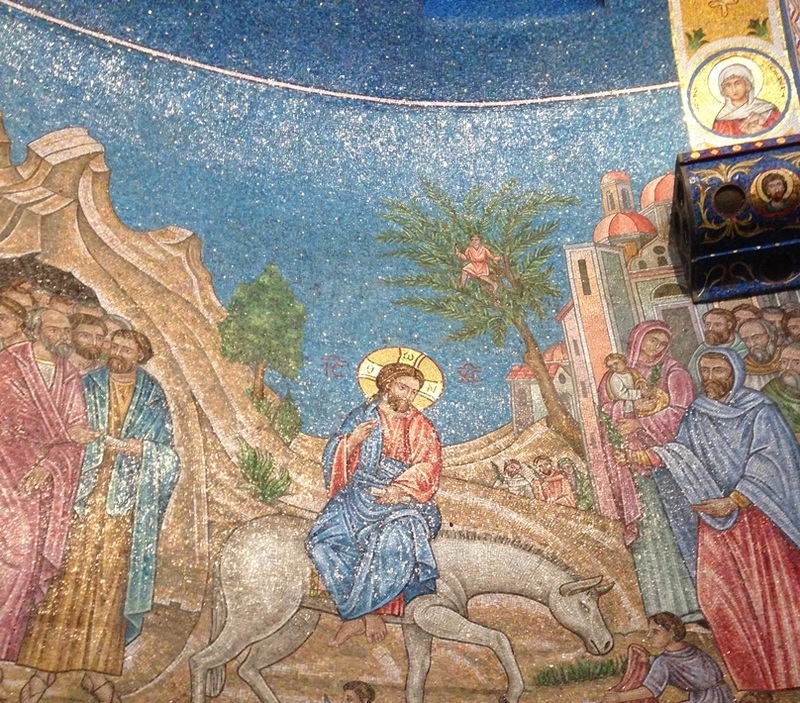 According to his/their/that website they do mosaics for a lot of different churches. The size of the tiles in each of these mosaics was about a half of inch square. Yes, these murals are made from thousands of 1/2 inch square pieces of glass. It is amazing! 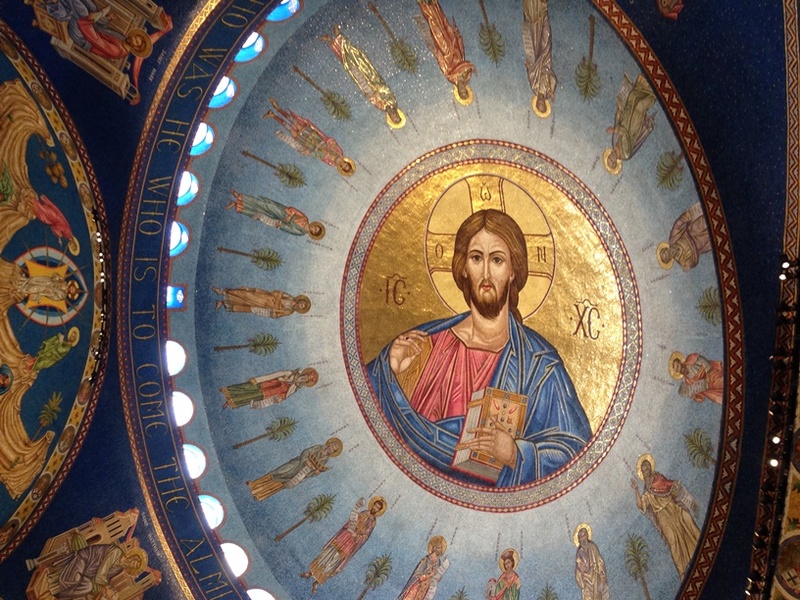 This site has some better pictures of the inside of the church. 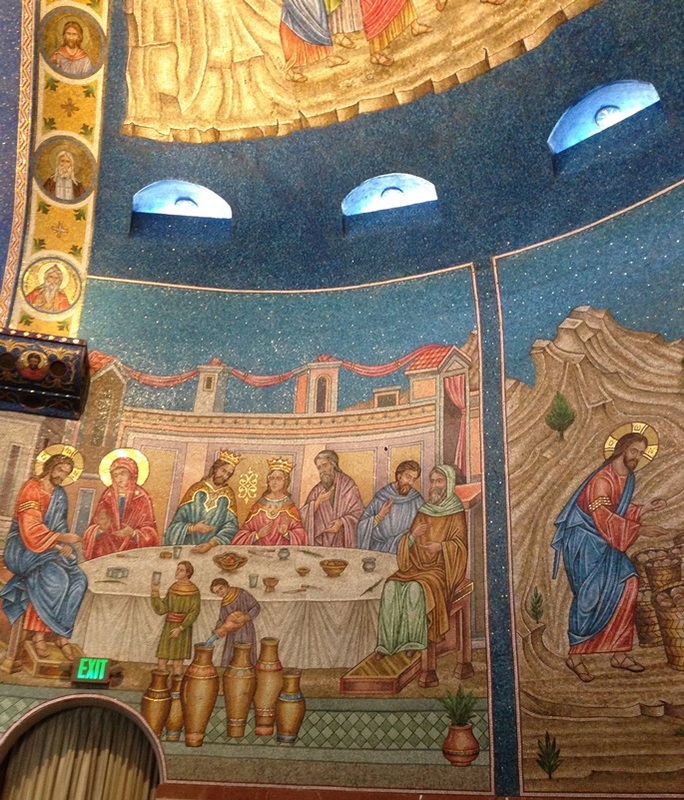 My pictures do not capture well, the beauty of the mosaics. They were very bright and very shiny. There were so many people trying to take pictures I was just doing so in a rush. Plus I was rather enjoying just looking at them and trying to take it all in and didn’t think to take a well planned out series of photos, I just started snapping as we were starting to walk out. It is a very gorgeous church. I was amazed. I loved it so much primarily because it was so blue.